The British Centre Monterrey is a proud representative of The Anglo-Continental School, located in Bournemouth, England. The Anglo-Continental was founded in 1950 and today is one of the most prestigious English language schools in the world. It manages a wide variety of courses, both general English and specialised courses, along with excellent services for accommodation, excursions and sports activities. 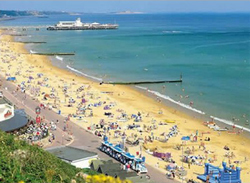 Its campus is located in Bournemouth, just 2 hours from London, is a college town known for its long sandy beaches open to the thousands of tourists who visit each year. The school has modern facilities, conference rooms, media centre, restaurant and beautiful gardens. Whatever your reasons for wanting to learn English, or your age, Anglo-Continental has a course for you. For more details, please follow this link: Anglo-Continental website or contact us at The British Centre for details. 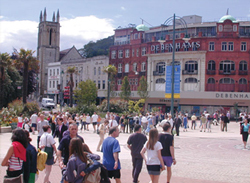 Learn more about the Anglo-Continental School, Bournemouth.